Support our Graphic and Digital Design students as they fundraise for a study tour in New York City. 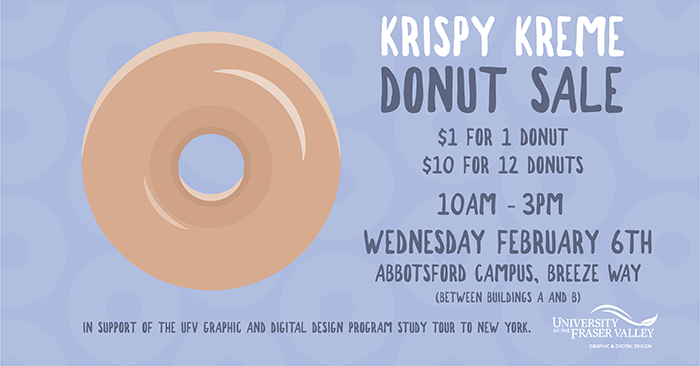 On Wednesday, February 6th they will be selling Krispy Kreme donuts in the Breezeway between buildings A and B, 10 am to 3 pm. If you would like to enjoy some delicious treats and support the students, come and get a donut or a dozen! Great for your study session, a department meeting or to take home!